Occasionally I get a request for projects that are a little outside the “norm”. This could be a design feature, a specific challenge related to the project or really any number of other factors that make some projects more unique than others. From time to time I will showcase those projects in a series called Project Spotlight. Hope you enjoy! The enjoyment that comes from working with wood is one of the primary reasons I choose to build only wood fences. Each one is a pleasure to build, mostly because I get to know the reasons behind why the fences is being built. Reasons vary, but there is always a story for it being built. I like being a part of that story. The really enjoyable projects are the ones that have a challenge. That challenge could be a specific design or simply the challenge that comes with attempting to find the overall place of the fence being built into the theme of how the space will be used. These are the projects I’m drawn to these days. These are the ones that bring me a great deal of joy in building. 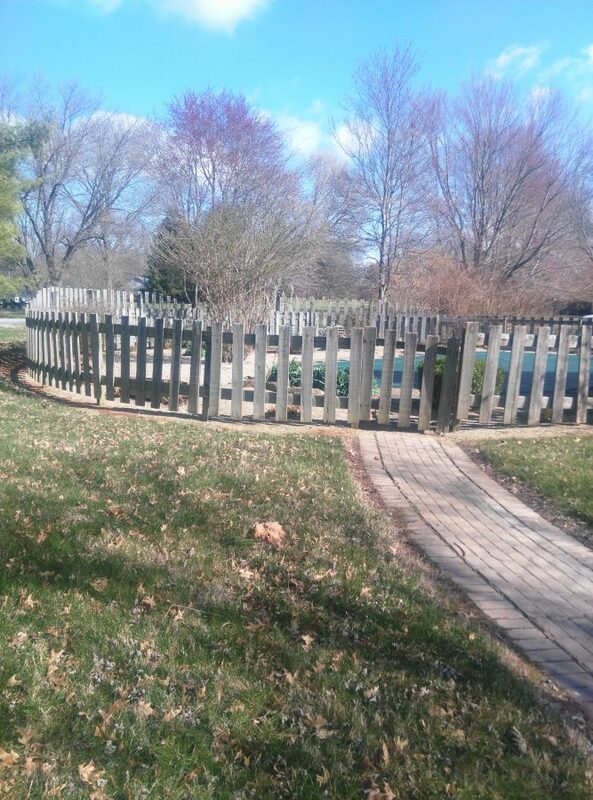 Early last spring I was contacted to provide a proposal for replacing a fence that was surrounding an in ground pool. 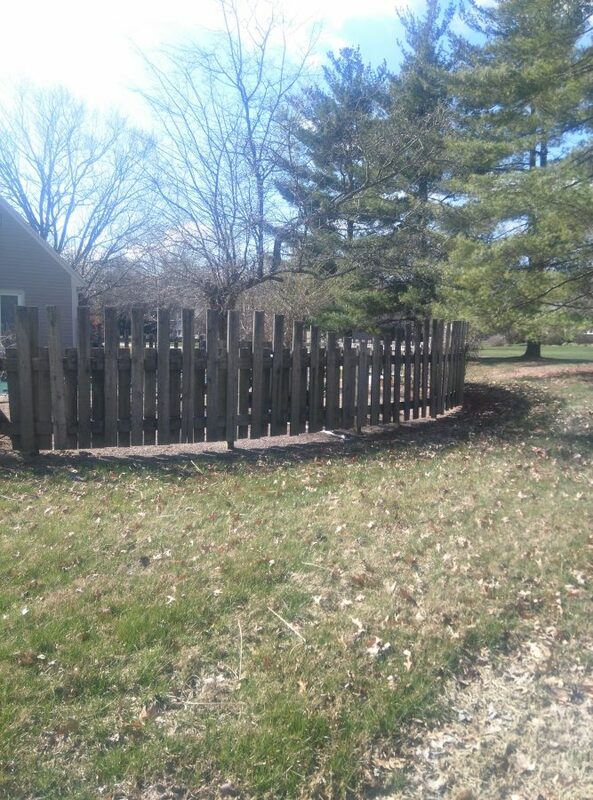 The existing wood fence was installed almost thirty years ago. It held up well over the years, but as with all things, time had left its mark. 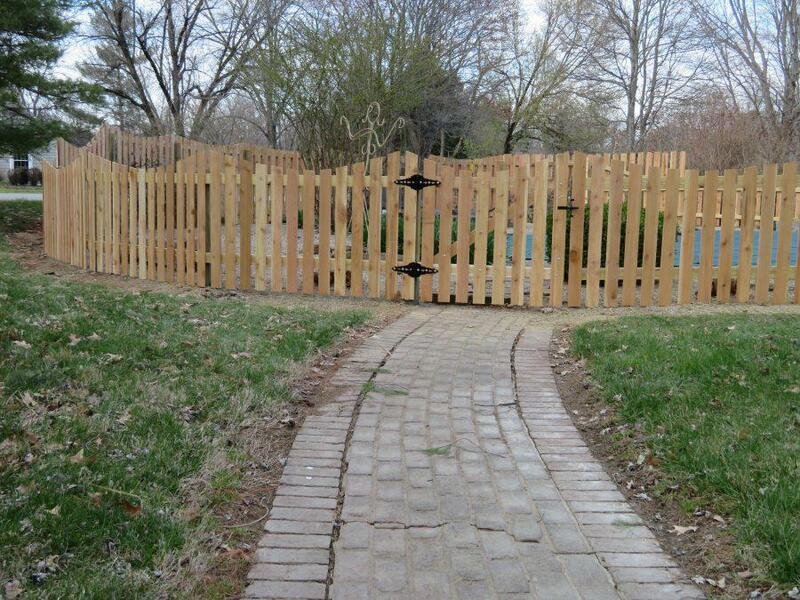 The existing fence was a combination of privacy and spaced picket. It also had a gentle curve going around the pool that the client wanted to maintain. The spacing between the pickets and the height off the ground were problems, as the gaps allowed two small dogs to escape. The two gates were no longer operating properly and made it a challenge to open and close. 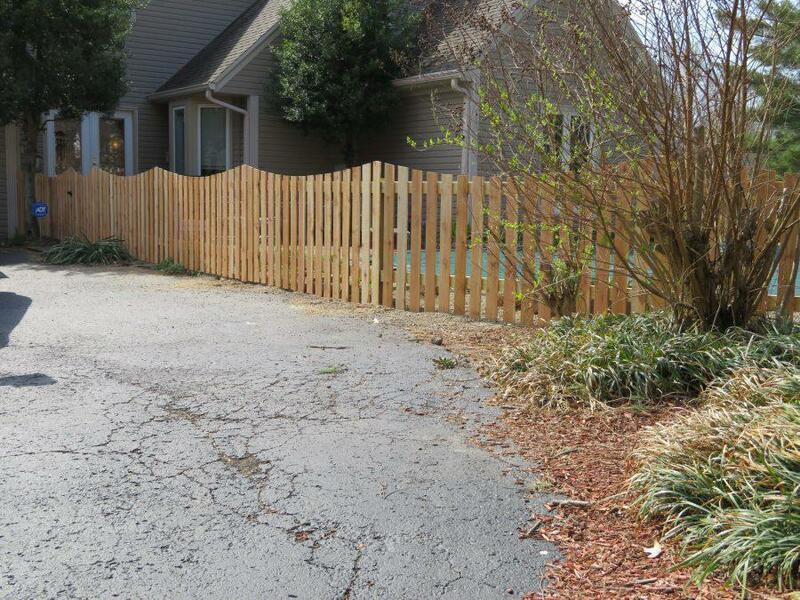 The last thing was the desire to add a little something to the fence that made it stand out, but didn’t substantially change the final cost of the build. The house sat on a corner lot. The fence needed to provide some privacy around the pool as well as be appealing to the foot and vehicle traffic that would be present. 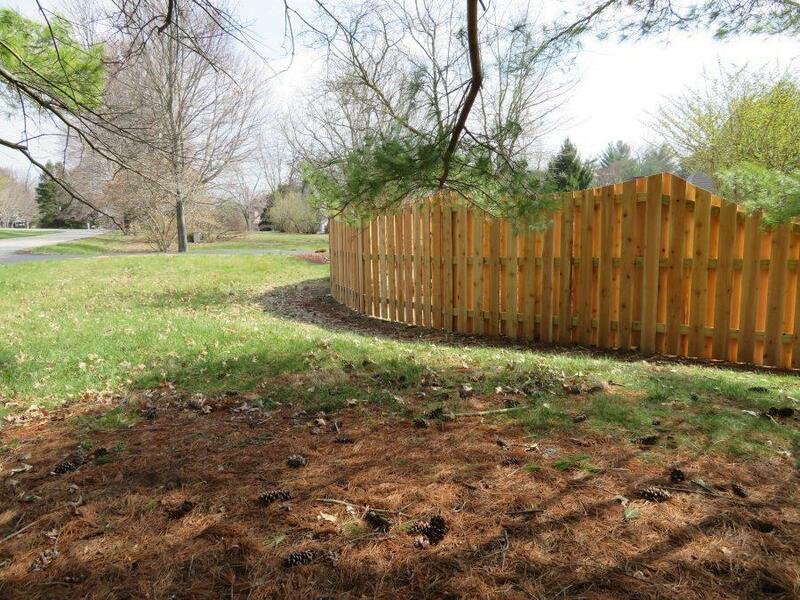 Doing a shadow box style fence for part of the fence would provide the desired privacy from the road. 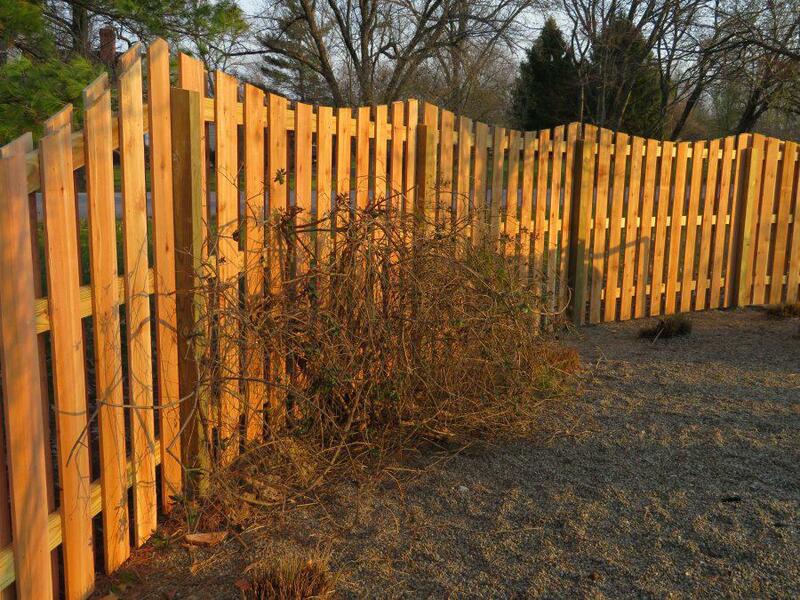 The little something extra was accomplished with the addition of scallop cuts to each section of the fence for both the privacy and spaced picket portions. This added a little more in labor, but did not require additional material. This kept the overall costs not significantly more than a basic build would cost, yet totally changing the look of the project. Scallop cut shadow box. 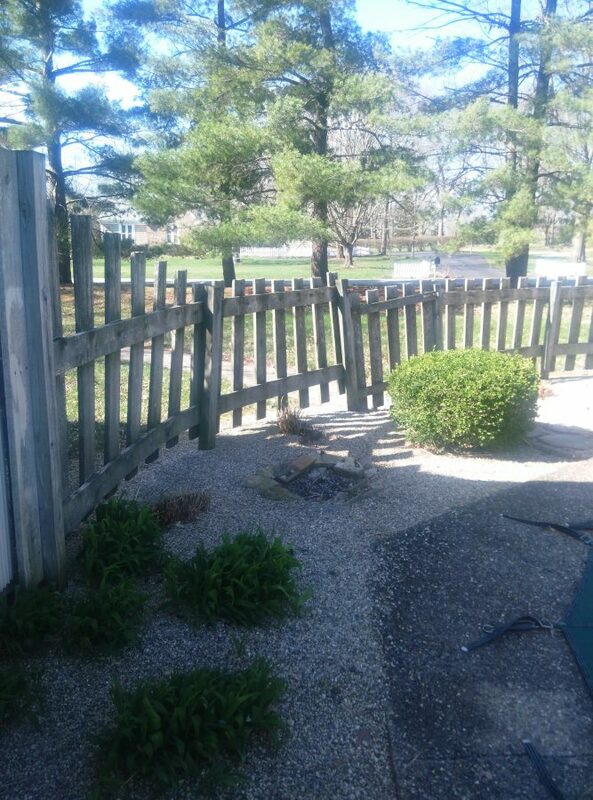 Notice the gradual curve the fence makes. Whether you have an exact idea of what you want or need help with design ideas, I would love to help you make your dream fence project a reality. Click on the contact info below or in the upper right hand corner and lets discuss your project.